Push knob functions as a handle while unlocked. 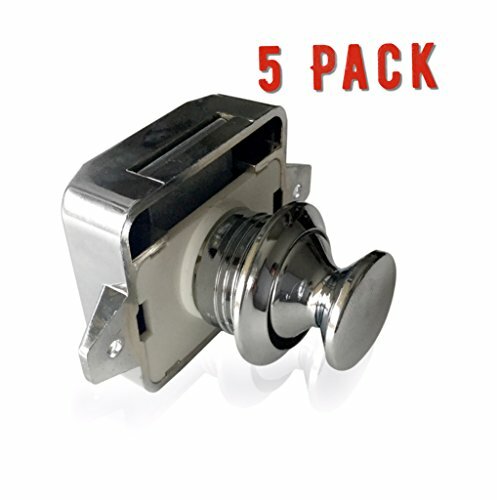 Package includes 5 Push Button Locks with Strike and Screws. Dimension: 2.9" * 1.9" *1.5" // Needs a 1" Hole to install. Suitable for all kinds of RV, land furniture drawers, cabinet door, cabinet furniture. If you have any questions about this product by AMThardware, contact us by completing and submitting the form below. If you are looking for a specif part number, please include it with your message.